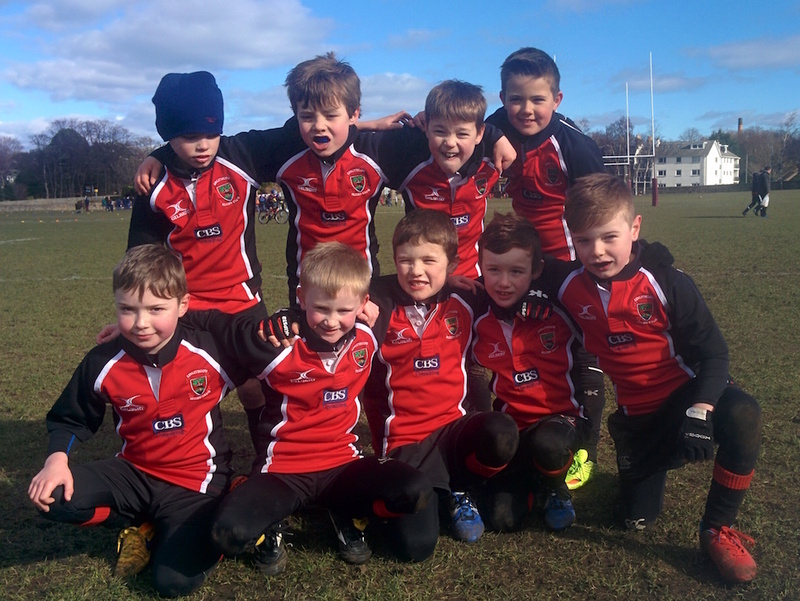 The Wee P3 Reds squad conducted themselves fantastically well on Sunday at the Warriors’ Festival of Rugby. Two other teams did not turn up at this age grade so we played 3 matches against Watson Warriors, results – 1 draw, 1 loss, 1 win, plus a win against Preston Lodge. Beautifully sunny but cold conditions, large pitch sizes and local touchline / passing rule variations posed some new challenges to the boys which they gradually overcame. We showed great spirit and commitment to play as a team. In defence we learned to press forward as a line to close the opponents space and commit tackles earlier. In attack we tried to focus on forward momentum not running backwards or laterally across the pitch. Our spacial awareness and ball handling skills were applauded creating some good individual scoring moments but importantly our support play produced some excellent tries. Thanks from all the boys to all the mums who travelled on their special day!